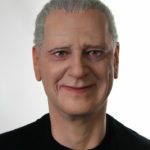 A totally custom life size caricature statue to add style to a retail location! 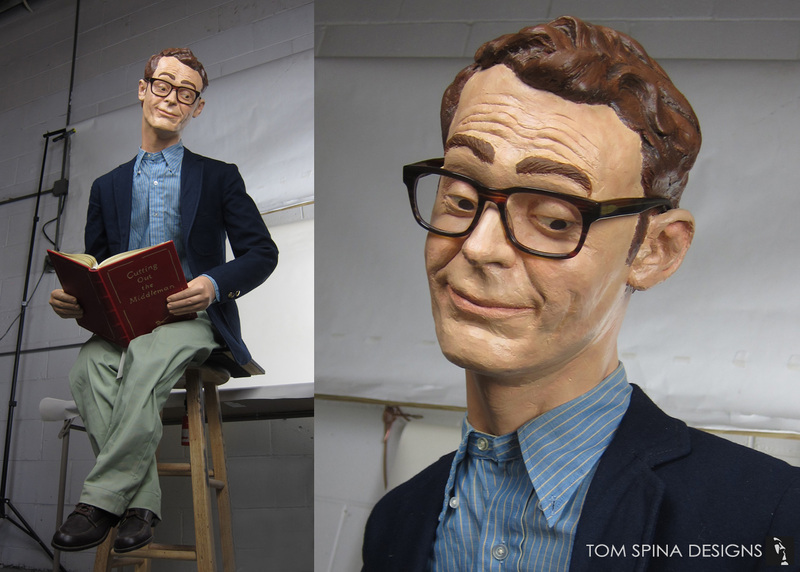 Somewhere between realism and cartoony character sculpting is this particular life size caricature statue. It was made for a New York City marketing company who wanted to create a museum style figure with a bit more style and fun than your standard custom mannequin. The figure was ultimately used as a store display for one of their clients. Artist Christian Hanson was our lead sculptor for the head/bust of this project and brought his unique style and wonderful form work to the head sculpture. 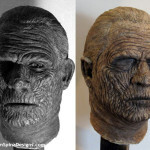 Once sculpted the mannequin head was molded and cast in dense resin. The statue’s head and hands were then painted with a brush-stroke look, to create a more fun, slightly impressionistic vibe. Once assembled, the statue is slightly smaller than life size, but very big on character! 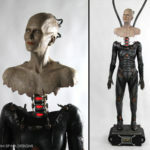 A custom mannequin like this character sculpture could also be used as a museum figure or costume display, and we’ve created similar mannequins for retail displays and windows, in haunt and theme park attractions and even as a unique gifts and home decor! 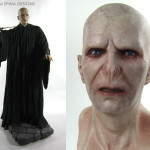 Looking for a custom life sized statue or figure? Email or call today and let’s discuss your project!